The volatile oil, composed of nearly 98 compounds, has a camphor-like smell and serves as a strong topical treatment for various skin conditions. This therapeutic oil is now being used almost in line with the modern medicine and is in fact, surpassing the later in treating the most resistant strains of microbes. While the list is endless, we have consolidated a handful of skin conditions that can be treated effectively at home using the tea tree oil. 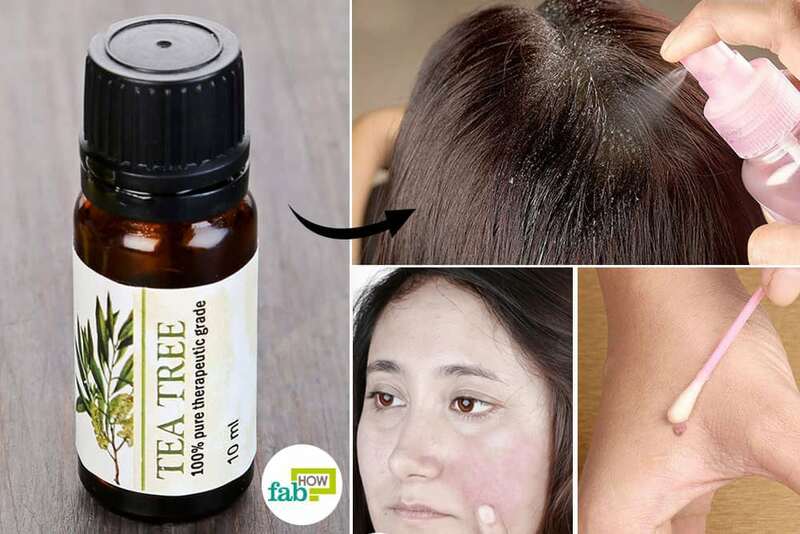 (2) You can also check out how to use tea tree oil for fungal infections here. 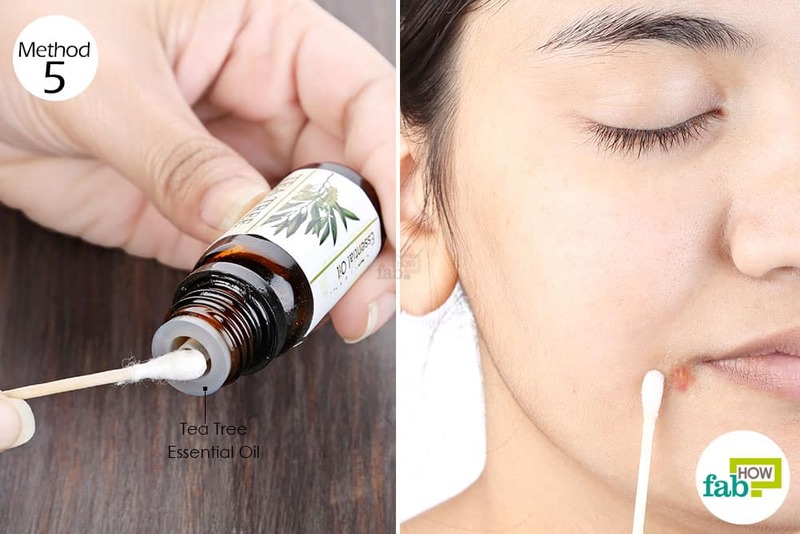 Read on to discover the top 10 medicinal uses of tea tree oil for skin, face, and health. Caution: Do not try to ingest tea tree oil. Oral consumption of tea tree oil can be toxic with severe side effects. Also, when using tea tree oil for a skin condition, it is advised to do a patch test first. Apply some tea tree oil on your inner arm and leave it on for 24 hours to see if there’s any adverse reaction. It’s important to use a very small amount when applying directly to the skin, to avoid a reaction and to lessen the possibility of a scar. 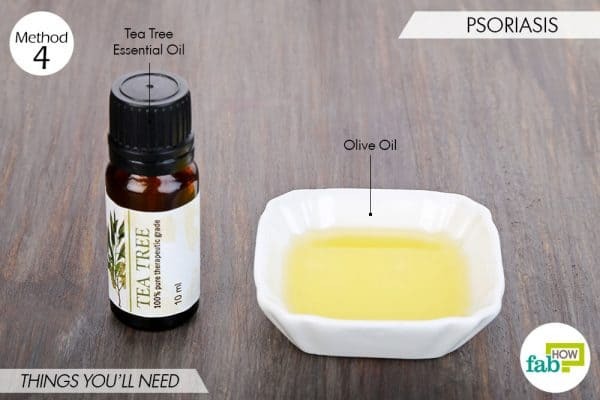 Tea tree oil can also treat acne naturally. (5) It decreases the production of reactive oxygen species which in return causes decreased inflammation. It has antibacterial properties to help reduce impurities and acne lesions, also decrease sebum production. It works as both an anti-bacterial and an anti-inflammatory. The most common type of bacteria that tea tree oil treats is P. Acnes. Read on to know some of the most popular medicinal uses of tea tree oil. A skin tag is a small, fleshy growth that hangs off the skin by a thin stalk. While the exact cause is still unknown, a number of studies attribute skin tags to the human papillomavirus (HPV). 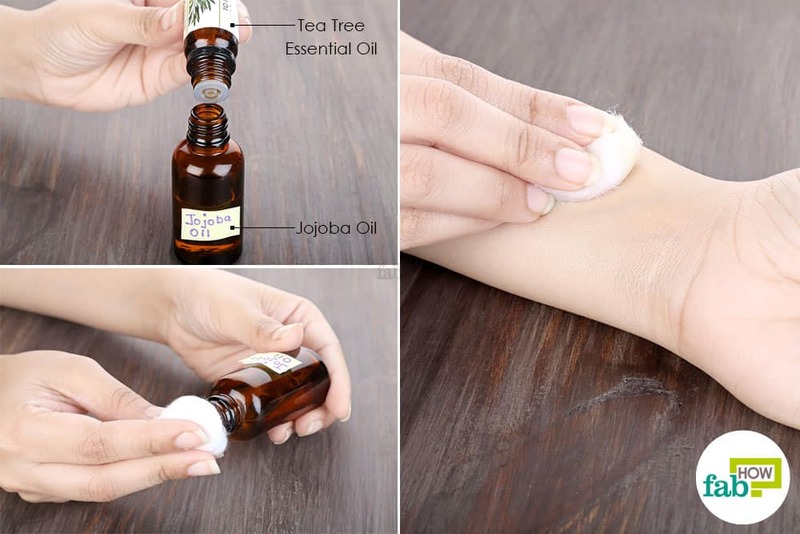 Since tea tree oil is a potent antiviral agent, applying it on the skin tag will kill the virus and the tag will eventually wither off. 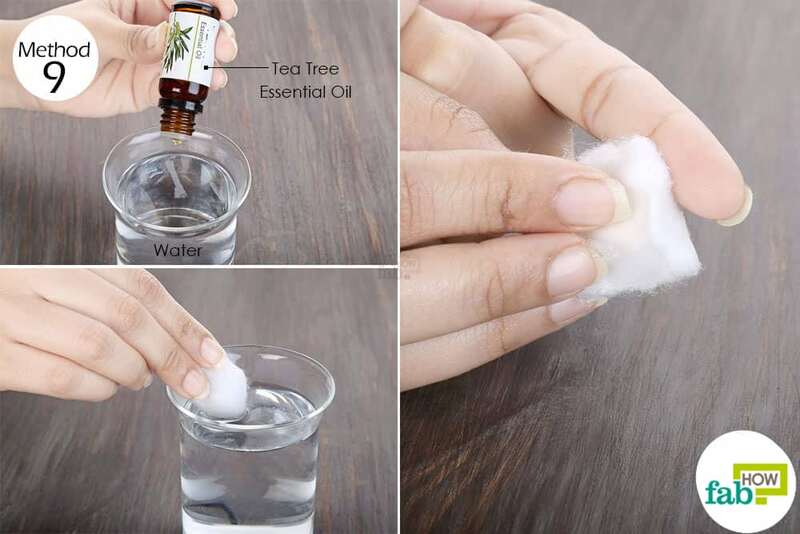 Soak a cotton swab in tea tree oil. Dab it over the skin tag and massage for 1 to 2 minutes to saturate the skin completely. Cover the skin tag with medical tape and leave it on for 4 to 6 hours. Use this remedy twice daily for 1 to 2 weeks until the skin tag dries and falls off. 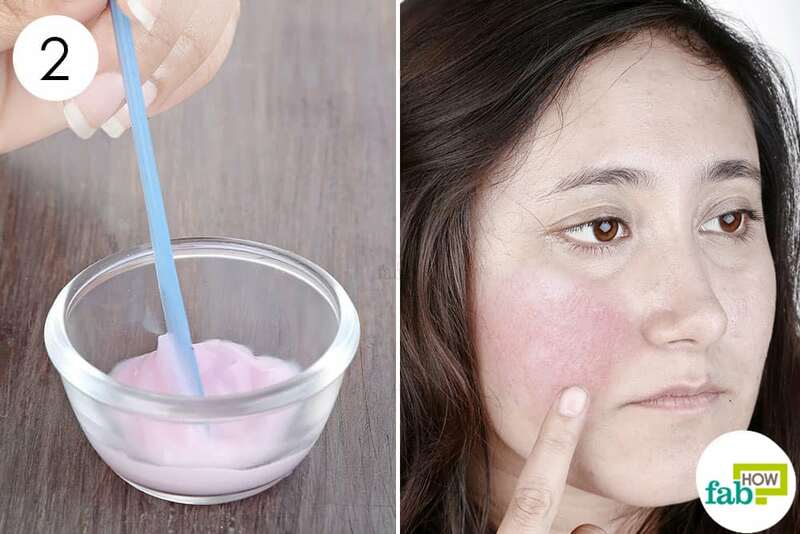 Rosacea is an inflammatory skin condition characterized by red and inflamed skin on the face. Since the exact cause is unknown, treating it can be difficult. The antibacterial and antiviral tea tree oil can help reduce the redness and also treat the Demodex mites on the skin. Demodex mites are naturally found on the skin, but people suffering from rosacea have a greater concentration of them, which leads to inflammation and flare-ups. You can mix the tea tree oil with a mild lotion or cream to apply it on your face. 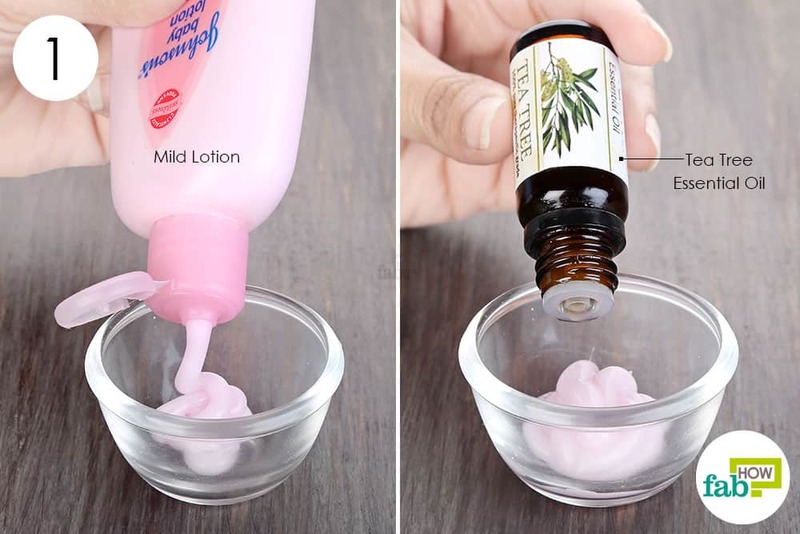 Put 1 teaspoon of the lotion in a bowl. Add 1 or 2 drops of tea tree oil. Blend the two ingredients thoroughly. Apply the lotion on your face. Let it absorb completely. Do not try to rub it in, as it will further irritate the skin. Repeat 2 or 3 times daily for 2 weeks to clear your skin naturally. A lice infestation is a pretty embarrassing problem and also causes a lot of discomforts. 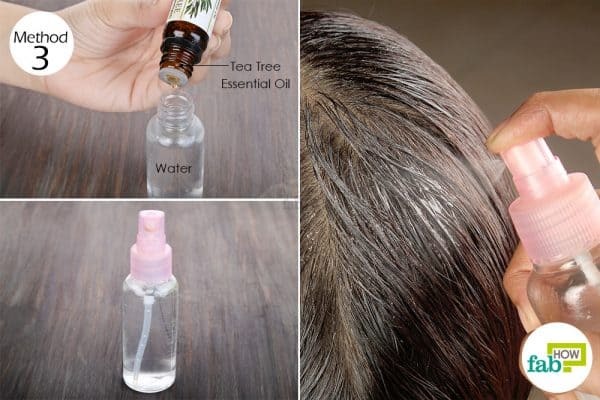 Another one of the medicinal uses of tea tree oil involves using it to get rid of head lice. Note: Do not this treatment if you have open wounds or broken skin on your scalp. Put on the nozzle and shake the bottle well. Spray the solution on your scalp. Make sure you cover the entire area. Wash your hair after 1 hour. Use the spray 2 or 3 times a week until you get rid of the lice infestation. Psoriasis is an autoimmune condition that leads to overproduction of healthy skin cells. With the production of new cells occurring faster than the normal shedding cycle, red flaky patches covered with silvery scales form on the skin. Being a fungicide and anti-inflammatory agent, tea tree oil helps reduce the redness and itching in the psoriasis patches as well as preventing any infection from developing. Since pure tea tree oil can irritate the skin, you need to dilute it first with olive oil. Olive oil is rich in antioxidants that will help keep the skin hydrated and also repair it quickly. Mix 10 drops of tea tree essential oil into 1 tablespoon of olive oil and warm it up. It should be comfortable to the touch, not scalding hot. Apply it to the psoriatic patches. Repeat twice a day for a few months to treat psoriasis. Cold sores are painful blisters caused by the herpes simplex virus type 1 (HSV-1). These sores appear as blisters on the nose, lips, and chin. The antiviral and antiseptic properties of tea tree oil can effectively get rid of cold sores. The oil can be applied directly over the sore or diluted first if you have sensitive skin. 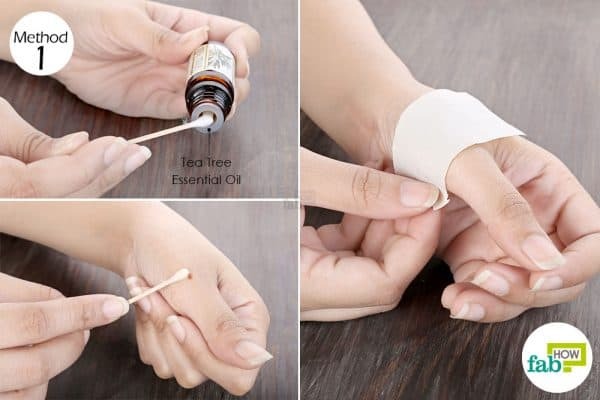 Dab the swab over the blister until it is completely saturated with the oil. It may burn a little, but the burning will subside eventually. 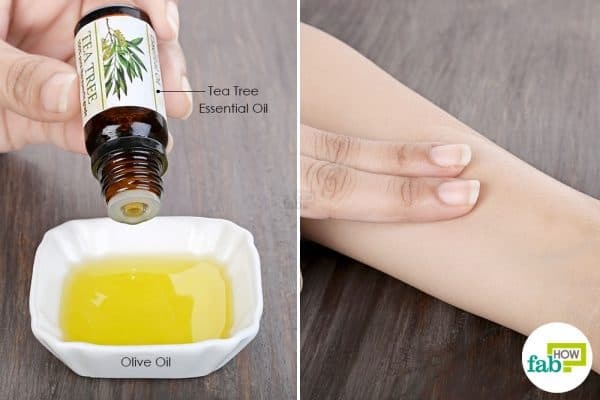 If you have sensitive skin, you can dilute the tea tree oil with some olive oil before applying it. Repeat twice daily until your cold sore is healed. 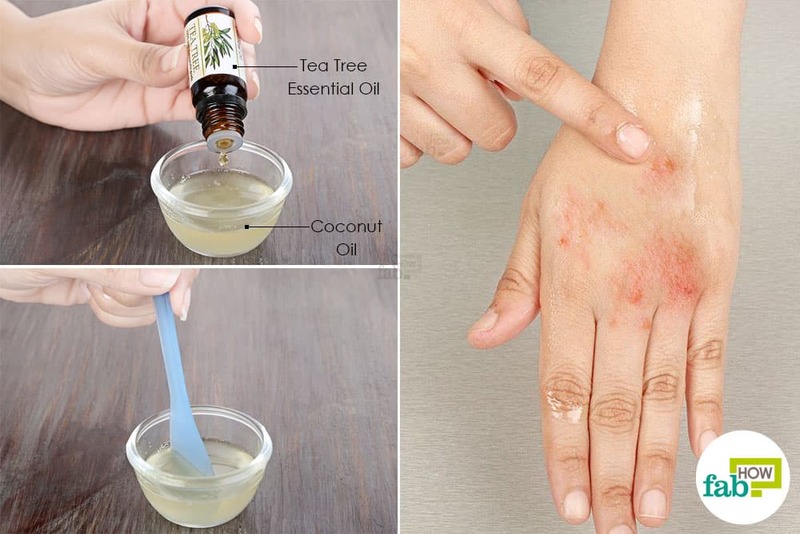 Dry and red eczema rashes can also be cured using tea tree oil. The oil works as an anti-inflammatory to reduce the redness in the patches and also get rid of any microbes causing the symptoms. 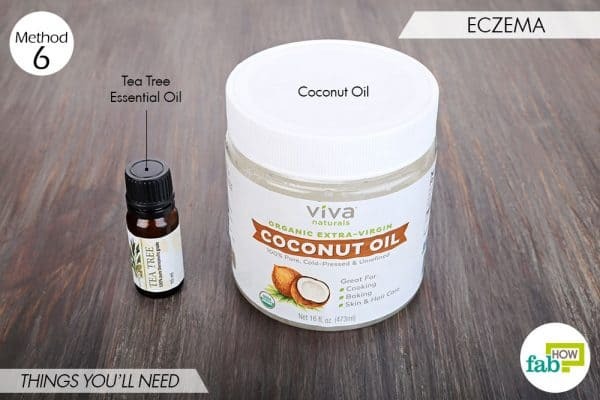 One of the best medicinal uses of tea tree oil involves combining it with coconut oil, which will moisturize the skin to reduce any itching or burning associated with eczema. Apply the blend to the entire area affected by eczema. Let it absorb into the skin completely. Apply the blend once daily until your skin condition improves. 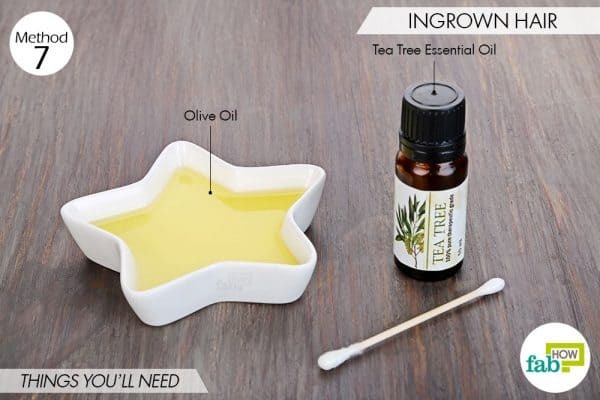 If you’ve been struggling with a pesky ingrown hair, try this tea tree oil remedy. The antiseptic nature of tea tree oil will help kill any infection in the blocked hair follicle and also reduce the redness and swelling. In addition, the oil will slowly slough off the skin to allow the hair to come to the surface. To prevent skin irritation, you’ll have to dilute the tea tree oil with olive oil before applying it. 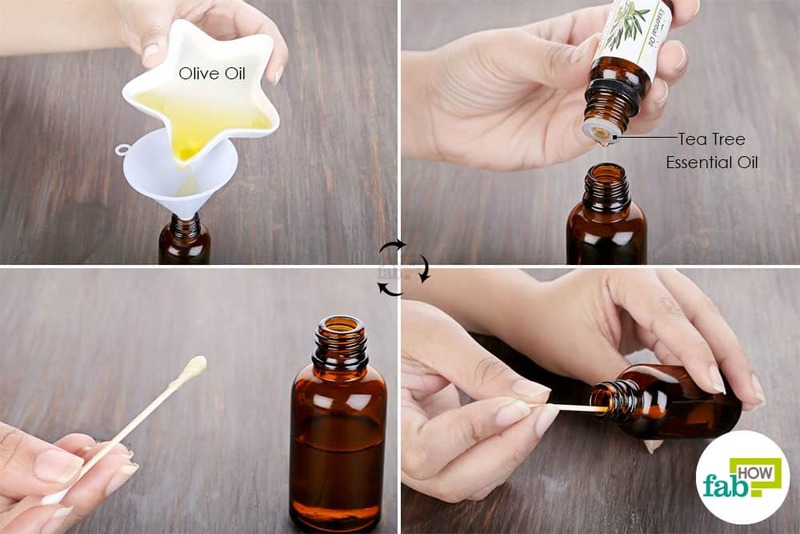 Use a funnel to pour 2 tablespoons of olive oil into a dark bottle, then add 15 drops of tea tree essential oil. Put the cap on the bottle and shake it to thoroughly mix the oils. Soak a cotton swab with this oil blend and dab it on the ingrown hair. Repeat several times a day for a few days until the hair comes out. Keratosis pilaris is a skin condition in which keratin accumulates around the hair follicles and appears as acne-like bumps. While these bumps neither hurt nor itch, they can be a cosmetic concern for many. Tea tree oil can help diminish the bumps by sloughing off the keratin and reducing the inflammation if any. The jojoba oil used in this remedy will help dilute the strength of the tea tree oil and also keep the skin moisturized for faster healing. 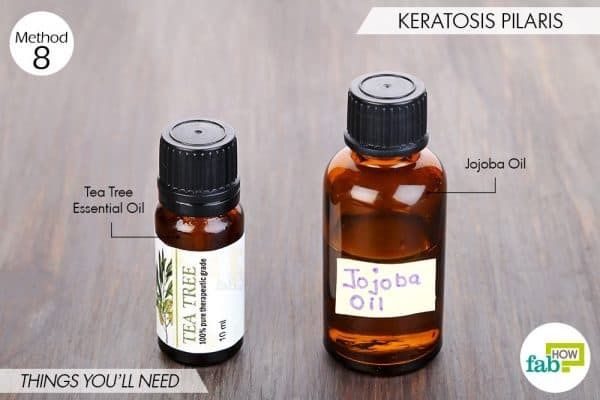 Combine 2 tablespoons of jojoba oil and 7 to 10 drops of tea tree essential oil in a dark-colored bottle. After taking a shower, soak a cotton ball with the oil and rub it over the affected skin. You need not wipe it off as the oil will absorb into the skin. 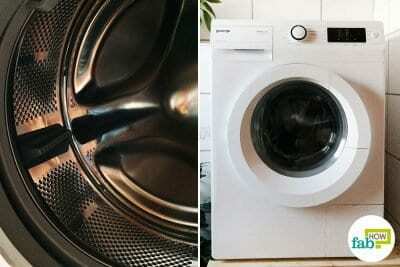 With regular use, the dead skin will start coming off with the cotton. Repeat once daily until your acne-like bumps are completely healed. You can store the bottle with the oil blend in a dark and cool place. Tea tree oil can also be used to treat minor wounds and cuts. Washing the wound with the antiseptic tea tree oil will clean out the dirt and microbes and prevent any infection from developing. Add 2 drops of tea tree essential oil to 1 cup of warm water. Soak a cotton ball in the solution and wipe your wound with it. Repeat twice daily until your wound heals. Molluscum contagiosum is a skin condition caused by a virus called the molluscum contagiosum virus that leads to the formation of small painless lesions. This viral disease is contagious and can be spread through contact with an infected person or sharing items such as towels or clothes. Applying tea tree oil directly on the lesions can help kill the residing virus and make the lesions disappear over time. 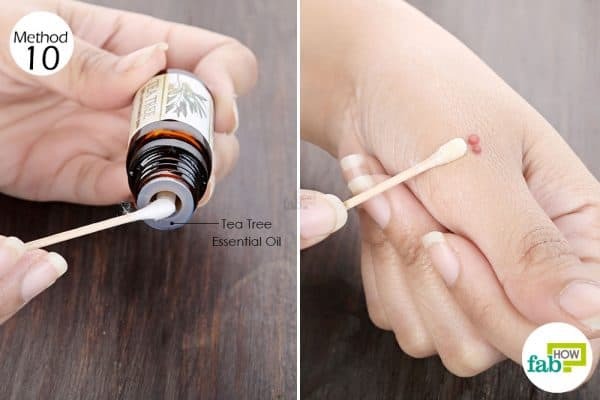 Soak a cotton swab with tea tree essential oil. Apply the oil with the soaked swab directly on the lesions. Repeat application 2 to 3 times daily for 2 to 3 months to get rid of the infection. Note: Tea tree oil may lead to redness and skin irritation in certain individuals. In that case discontinue the use for some time, until your skin heals. Once it is back to normal, start applying the oil again until the lesions heal. Tea tree oil can also be used to get rid of mold growth in the home. You can also learn how to use tea tree oil to treat various bacterial infections. 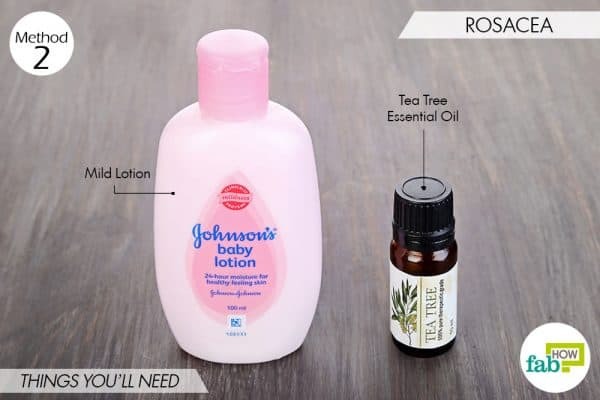 Always store tea tree oil in a dark colored bottle. Keep the tea tree oil far from the reach of children and pets as it can be toxic if ingested. Apply direct tea tree oil in the condition of molluscum contagiosum if you’re an adult, for infants it must be diluted before application. Carson CF, Hammer KA, Riley TV. Melaleuca alternifolia (Tea Tree) Oil: a Review of ... Clinical Microbiology Reviews. https://www.ncbi.nlm.nih.gov/pmc/articles/PMC1360273/. Published January 19, 2006. Di E, Di S, Delli P, et al. Activity of tea tree oil and nerolidol alone or in combination against Pediculus capitis (head lice) and its eggs. Parasitology Research. https://www.ncbi.nlm.nih.gov/pubmed/22847279. Published November 2012. Pazyar N, Yaghoobi R. Tea tree oil as a novel antipsoriasis weapon. Skin pharmacology and physiology. https://www.ncbi.nlm.nih.gov/pubmed/22473218. Published 2012. Hammer KA. Treatment of acne with tea tree oil (melaleuca) products ... Elsevier International Journal of Antimicrobial Agents. https://www.sciencedirect.com/science/article/pii/S0924857914003458. Published February 2015.